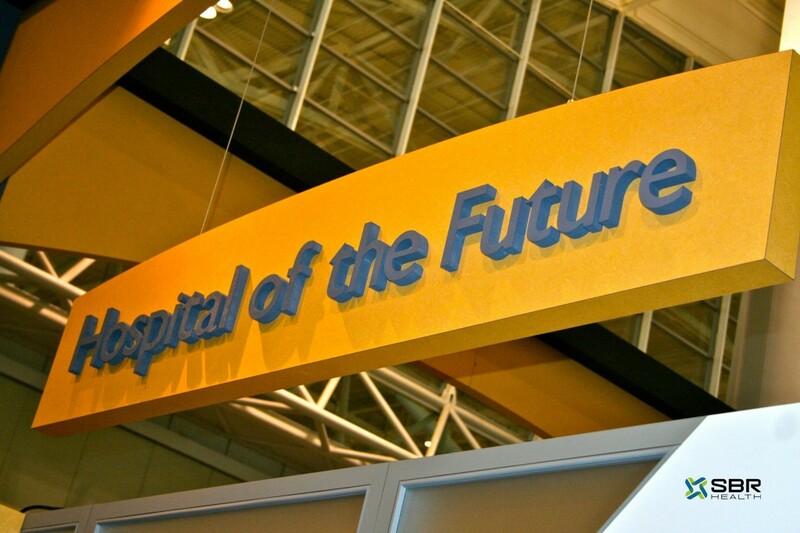 After attending the American Academy of Pediatrics National Conference and Exhibit earlier this month, we are proud to announce that SBR Health is a sponsor of the AAP Pediatric Office of the Future. 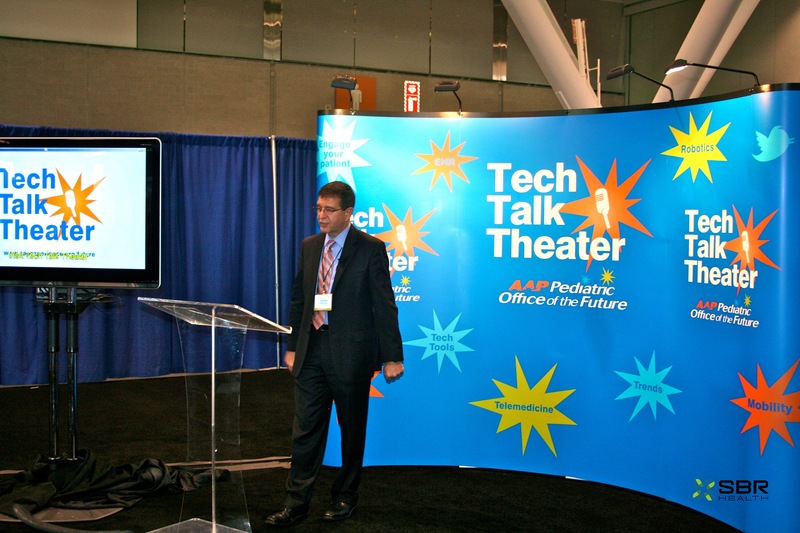 October 15-18, 2011, SBR Health attended the AAP National Conference in the Hospital of the Future, situated between the Hospital of the Future and the Tech Talk Theatre. 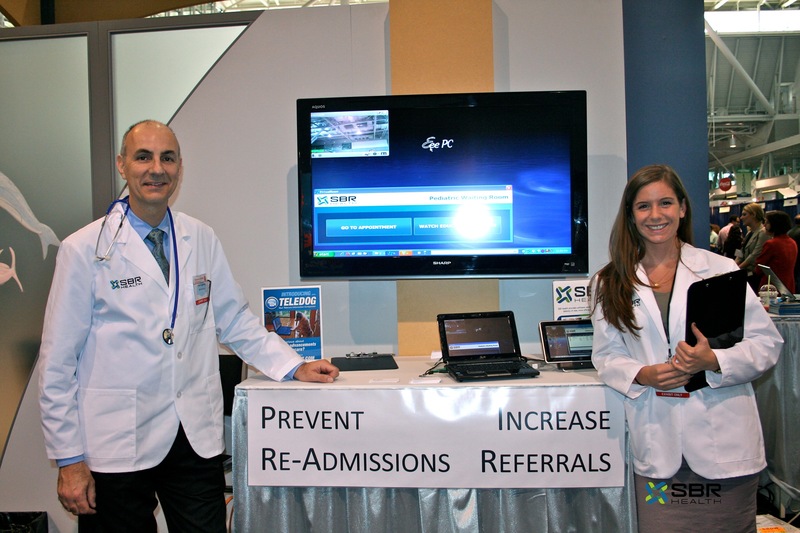 Here, SBR’s Chief Marketing Officer, Pete Eggleston and Inbound Marketing Specialist Jenna Antonelli set up the company’s demo, providing real-time video for preventing readmissions and increasing referrals. 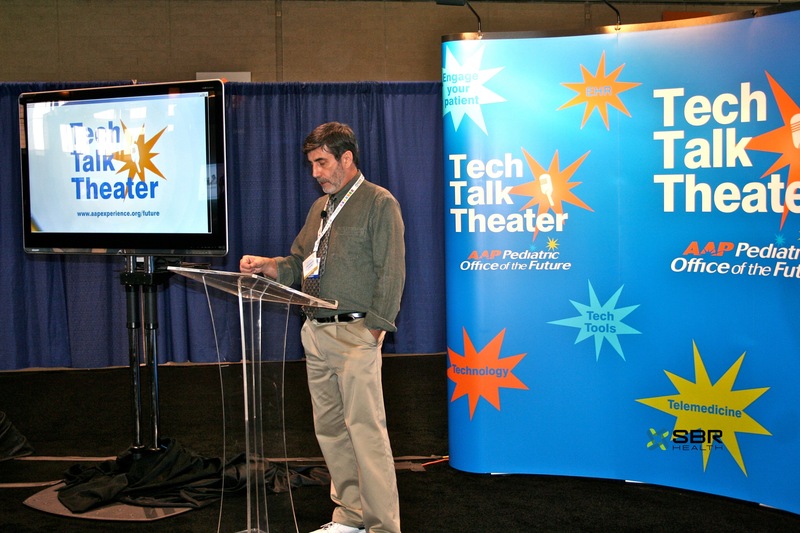 The Tech Talk Theatre housed several speakers, including “Taking Your EHR Selection Process from Confusion-to-Confidence” and “Telemedicine and Robotics Innovation for Advancing Care Deliver”. Above, Thomson Reuters Pediatrics presents, “Neonatal and Pediatric Patient Safety – Focus on Drug Therapy and Parenteral Nutrition”. Below, Health Nuts Media attracted a large crowd during, “Animation, Health Literacy & the Engaged Patient”. To learn more about the American Academy of Pediatrics Pediatric Office of the Future, visit here.